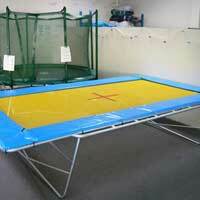 We have round & rectangle trampolines & a heap of trampoline accessories. 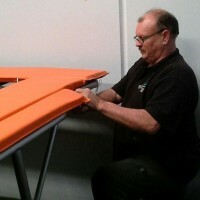 Based in Perth, Western Australia, we supply our high quality trampolines all over Australia. 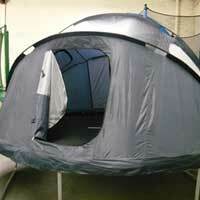 To make the most out of your Trampoline we carry a full range of accessories. These innovative accessories for trampolines have been designed by our dedicated team of engineers to be specifically used with your Trampoline. 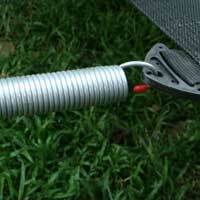 If you need help with the installation of your new trampoline puchased from us, we can help with this. We can also help with most general repair and maintenance. Call us to discuss your requirements. Most people don’t think about this, but the majority of trampolines sold in Australia come from manufacturers that make it extremely difficult to get spare parts. We stock the best quality brands that meet international safety standards – some of the tramps below are truly world class solutions made available to Australia. The Trampoline Man is Perth, Western Australian based and has been providing happy customers with quality trampolines since 1990. We have some of the range of trampolines on display in our showroom in Wangara. Don’t settle for looking at a picture on a box or in a catalogue from the larger department stores, when we encourage you to “try before you buy”, ensuring you are satisfied with your purchase. The Trampoline Man also manufactures replacement trampoline mats and trampoline pads to suit most rectangle trampolines, as well as stocking a large range of springs, bars and parts. We can also arrange delivery of your purchase and if required, assemble your trampoline (in the Perth metro area) for a fee. We are committed with providing good service and products and welcome any questions you may have. We look forward to your visit to our showroom.